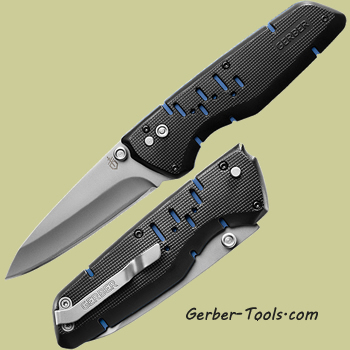 Gerber Skyridge AO 31-002856. 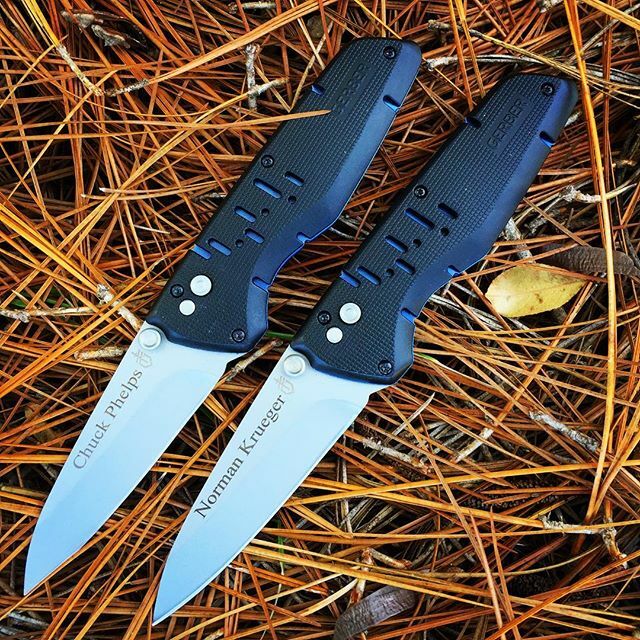 This knife has an overall length of 7.9 inches and features a fine edge 3.3 inch drop point blade that opens easily with the button and the dual thumb studs. There is a large comfortable handle that has steel liners covered with a PVD coating. This is a perfect every day carry knife. Safet lock.